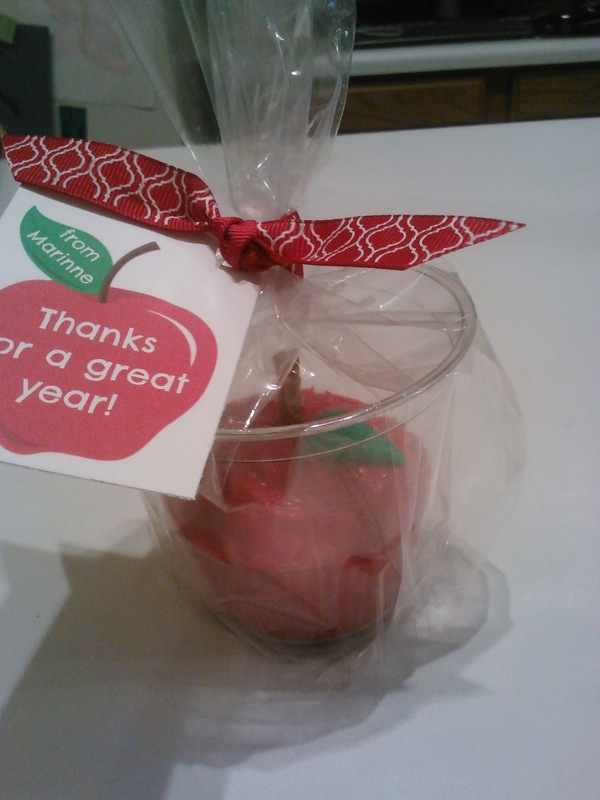 Marinne, my almost 14 yr. old, made these cute apple cupcakes for all of her teachers. She found the idea online, but we tweaked it to make it better. The one she saw just had a white cupcake liner, but we made them with red liners so it would look like a whole apple. 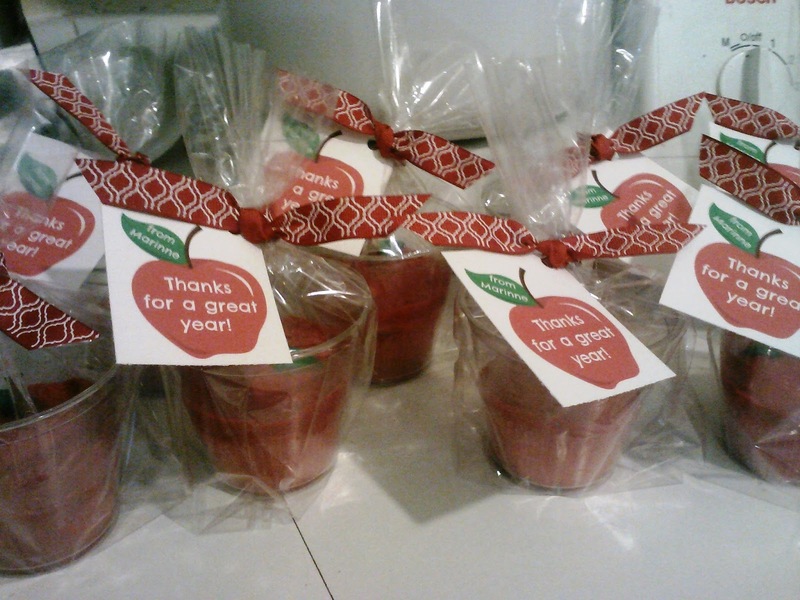 She made the cupcakes, frosted them red, stuck a pretzel in the middle, and added a leaf. The leaf is a green "Airhead" candy cut like a leaf. She put it in a clear cup, put that in a treat bag, and tied it up with cute ribbon. I made the tag on Pic Monkey.